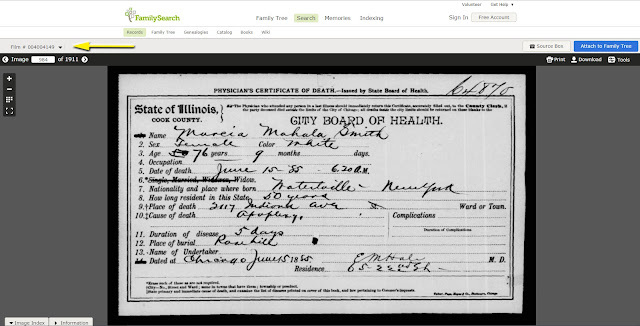 Today I'll focus on the Chicago Delayed Birth Index that's newly available in digital format through the FamilySearch Catalog. 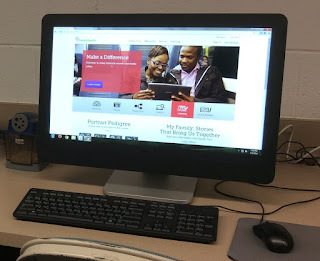 You can view the index images if you visit a family history center or FamilySearch affiliate library; you won't be able to view the images from home. And, you may be able to find the matching records online, too. For those of you who are unfamiliar with delayed birth registration, it was a way of creating a civil birth record, sometimes long after the birth, when an original wasn't filed at the time of the event. It's particularly relevant to Chicago research because many early births went unreported. So, when should you use this index? Checking this index is a good next step when you've searched the "regular" birth indexes and come up empty-handed. Why? Because an unsuccessful search for a birth certificate can mean two things--the birth wasn't reported or the name, for whatever reason, just isn't popping out of the index. If you find a match in this delayed birth index, then it's likely the birth wasn't reported at the time of the event and you can feel comfortable giving up the search for a record that likely doesn't exist. And what should you know about searching it? Just one thing. Surnames aren't listed in strict alphabetical order and it isn't sorted by given name. If you are search "Smith," you will have to look through many pages. The good news is years appear to cluster and you can use that to quickly skim through irrelevant entries. Take a good look at this example page to see what I mean. In the past, I've suggested people contact the Cook County clerk's office to obtain copies of these record. 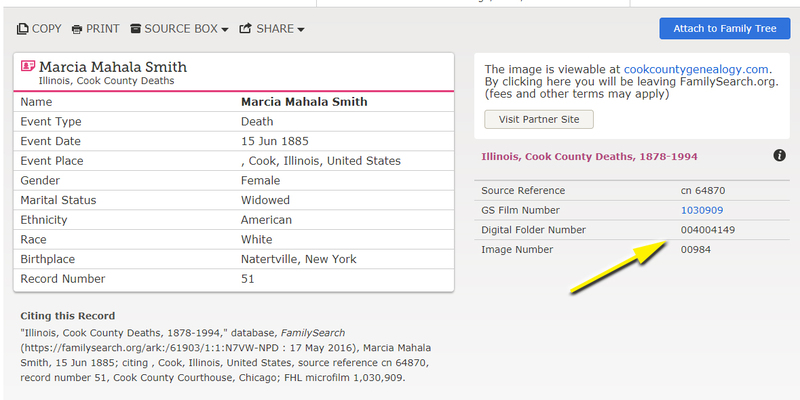 However, it appears that at least some of the matches are included in the newly-digitized Cook County records that are available on at FamilySearch and their online index may duplicate this delayed birth index meaning--you may not have to use this index at all! For more information and a tutorial on how to find the records on FamilySearch, please watch the video at the top of the post. Alfred A. Worzala, "Your Social Security: How to Prove Citizenship," Chicago Tribune, 15 November 1970, sec. 5, p. 11, col. 1; digital image, Chicago Tribune Archives (http://archives.chicagotribune.com/1970/11/15/page/145/article/your-social-security : accessed 13 September 2017). Over the next few weeks, I'll be highlighting Chicago sources that are newly-available in digital format through FamilySearch's Catalog. First up is a multi-volume set titled [deep breath] Indexes to deaths in the city of Chicago during the years 1871 to 1933 : showing name, address and date of death. I just call it "the Chicago death index, 1871-1933" or "the CDI" for short. One thing you should know about it right up front is that the title is a bit misleading. 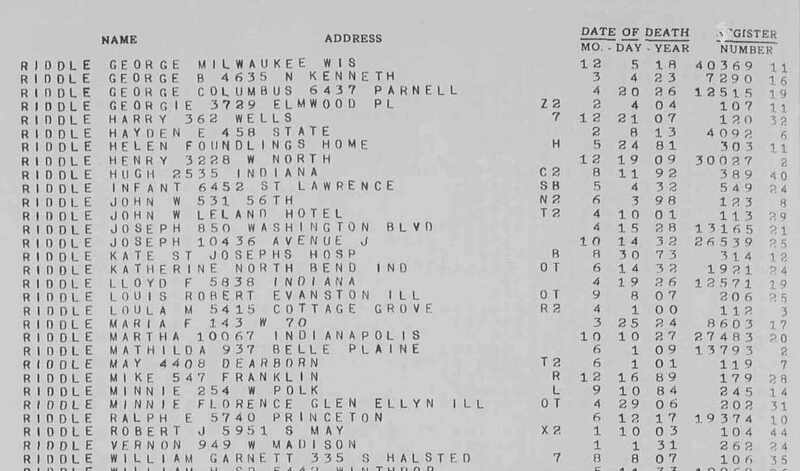 It mostly lists Chicago deaths, but it also includes some out-of-town deaths--entries for people who died outside the city but were probably brought to Chicago for burial. 2) When you can't find a name in any of the online indexes. Two reasons. First, the name might be spelled differently in this index, making it easier to pick out. Second, this index includes entries for people who died outside Chicago but were buried in the city. That Chicago ancestor may have died on vacation in Michigan--seriously--and this index is a good way to work around the unexpected. Out-of-town deaths are indicated by the "OT" in the column just before the date of death. If you find one of those entries, it's best to contact the vital records office where the death took place to see if you can get an original record. However, if the death occurred 1909-1915, the matching Chicago records (likely derivative) are available at FamilySearch. See Out of town deaths, 1909-1915. 3) When you're trying to find a record for someone with a common name. This index includes address of death so, if you know where your John Smith lived and if he died at home, which was often the case, it will be very easy to pick him out. 4) When you're looking for mention of a stillbirth. Stillbirths are indicated by the "SB" in the column just before the date of death. I haven't explored how to find the matching records, but I can tell you two things: 1) some stillbirths are recorded in the birth registers at the end of each alphabetical section; 2) many new stillbirth certificates appear to be online at FamilySearch, accessible through the catalog. 5) When you're looking for children who died but you don't know their names. Sometimes it's possible to pick out possible matches based on a known family address. So, when should you use this index? If you find matches, for deaths 1878-1933, follow the usual steps for finding those certificates. And, if you find yourself stumped, feel free to email me for help: info@chicagogenealogy.com. Chicago Board of Health, Deaths in City of Chicago During the Years 1871-1933 Inc. Showing Name, Address, and Date of Death, Volume 27, Rid-Rzy ([no publishing information]); digital image, FamilySearch (https://www.familysearch.org/search/film/004261176?cat=293534 : accessed 12 September 2017); Indexes to deaths in the city of Chicago during the years 1871 to 1933 : showing name, address and date of death > Deaths, Rep-Sik 1871-1933 > Image 54 of 929; citing FHL microfilm 1295973. 3) Make sure the digital folder number matches the "film number" on the top left of the screen. (It's confusing. That "film number" is really the digital folder number.) Then, type the image number in the box and hit return. The certificate you are looking for will appear as a highlighted thumbnail. Click it to enlarge. (If you have trouble figuring out the images, check the sidebars on my chicagogenealogy.com tutorial pages; they were written with films in mind, but they're applicable to the digital folder images as well. Or just email me from the contact page on the website and I'll happily help you find what you need. )These records are a wonderful resource for Chicago genealogy and I hope they will remain accessible in this way for many years to come. Many thanks to the Cook County and FamilySearch for making them available in this way. I'm going to miss these little boxes! Yesterday was the final day to order FamilySearch microfilms and I'll have to admit, I felt unsettled. Last chance. Last chance! I kept wondering if there were any films that I was going to really, really wish I could view at my local Family History Center months down the road. And, you know what? I don't think so. A couple of weeks ago I scrambled to order a reel with records from Maine because they weren't online. They will have to be read page by page and it's something I don't want to ask anyone to do for me. Yesterday, taking one last look in the Family History Library Catalog to see if I'd missed anything I should order, I noticed the images are now available on FamilySearch. As much as I love microfilm--and I really do--it's time to embrace the new system. 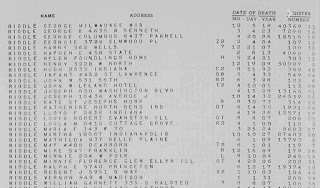 In celebration of the the end of an era--and the beginning of another--I've decided to write a series of blog posts focusing on the Chicago and Cook County records that are now online. And, I think I'll focus, at least in part, on unique records just waiting to be discovered. Watch for the first installment this weekend! I'm an administrator for an active Chicago Genealogy Facebook group and with so many indexes for records online now, one question that's asked over and over is, "How can I get [fill in the name of a record type here]." 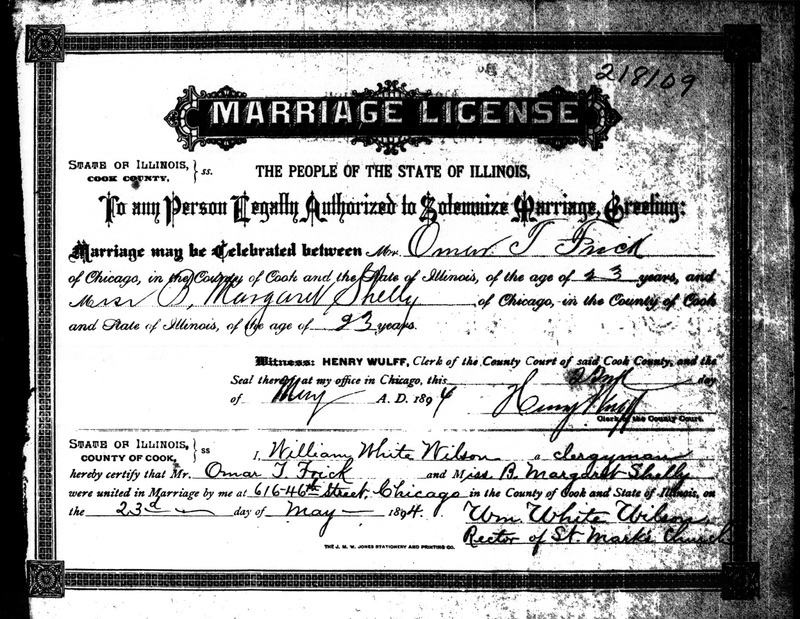 Recently, someone asked about a marriage license from 1891 and my first thought was that the record could be obtained from FamilySearch microfilm at the Wilmette Illinois Family History Center or the Family History Library in Salt Lake City. It's less expensive than getting records directly from the county, and if a researcher can't go in person, there are plenty of local researchers who offer document retrieval services at those places for a reasonable fee. But then I remembered there's another great option for getting early Cook County marriage licenses that is likely often overlooked--the Illinois Regional Archives Depository at Northeastern Illinois University, better known as IRAD at NEIU. 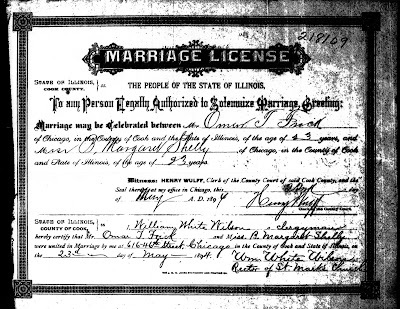 Their holdings include Cook County marriage licenses, 1871-1915, and here's the good news! They will take requests by mail or phone. When I last used their service, the only cost was to reimburse them for copying which meant sending back a check for $1.00 after I received the record. Search the Local Government Records Database to learn about what else they have to offer. Selecting "Cook" for the county and hitting "Submit" will show you all of the database entries for NEIU. Birth certificates, 1878-1894 and birth records, 1871-1915. Note the "outside the city of Chicago part," because that's really important. IRAD holds the county records--say, if an ancestor was born in Evanston--but they don't have the Chicago city records. These records are indexed in Ancestry's Cook County, Illinois, Birth Certificates Index, 1871-1922 and FamilySearch's Illinois, Cook County, Birth Certificates, 1871-1940 collection BUT here's the deal: both indexes lump Chicago city records and Cook County records into one, even though, somewhere along the line, the County Clerk's Office saw them as two different record sets. So, how do you know if the record you want is county--meaning IRAD will likely have it? First off, if the index entry mentions Chicago, it's very likely it's a city record. If it doesn't, it's time to do a bit of detective work. Find the film number mentioned in the index entry and search it in the Family History Library Catalog. If the result says "Cook County Birth Certificates, 1878-1894" or "Cook County Birth Registers, 1871-1915," it's likely IRAD will have the record. If the result says, "Chicago Birth Certificates" or "Chicago Birth Registers," then they almost certainly won't. Death certificates, outside the city of Chicago, 1878-1909. Again, note that they have county records, but do not hold Chicago certificates. These records that match the Illinois Statewide Death Index, Pre-1916 entries that say "COOK COUNTY" in the city field. (Don't get confused by the word "COOK" in the county field.) Or, if you've found them in an Ancestry or FamilySearch index, use the approach mentioned above to determine if they are city or county records. Marriage licenses, 1871-1915. 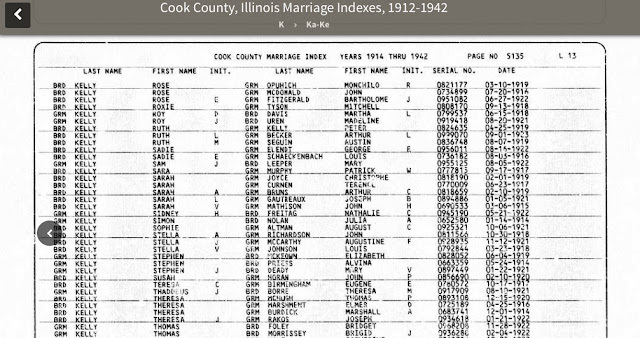 These records are indexed in the Illinois Statewide Marriage Index, 1763-1900 and on Ancestry and on FamilySearch. It doesn't matter if the ceremony took place in the city or county; they're all grouped together and if you have the license number you should be able to get the record from IRAD. Naturalization records. The Circuit Court Archives holds original naturalization records for the Circuit, Superior, County, and Criminal Courts (and looking at or copying the original is best), but IRAD also holds these records on microfilm. Probate records. You will see many references to probate records in the database and these sources can be useful, but it's the Circuit Court Archives that holds the case files. My personal preference is to do probate research at the Circuit Court Archives but if you're at IRAD for another purpose, those films might come in handy. Unique collections. IRAD also holds some records you might not think to search unless you knew they were there--saloon licenses, dog licenses, insanity records, and school inspectors' minutes, to name a few. I don't believe the staff can undertake extensive searches in unindexed records, but the collections are easily accessible if you can go in person. Three of their unique collections have online indexes and they will take requests to retrieve the matching records.